While everyone’s talking about the harmfulness of pesticides used in food production and the importance of buying organic fruits and vegetables, not much attention is given to the fact that almost 80 million households in the US use pesticides on their lawns or home gardens, with most of them receiving more pesticide application per acre than agricultural farmland. These pesticides are incredibly unhealthy to the person being exposed to them while applying them to the law or garden. Home or neighborhood pets as well as children who play in the yard are also subjected to unhealthy exposure levels. 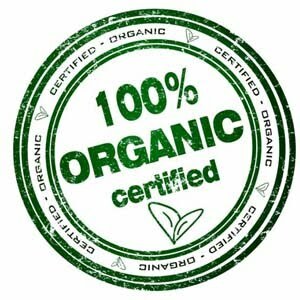 While purchasing organic products at the grocery store is an important step to lowering your exposure to pesticides, the decisions you make right in your own back yard are as equally if not more important. Here are 6 ways you can avoid both pests and pesticides in your home lawn and garden. 1. Epsom Salt Water: Epsom salts, which can easily be found in your local drugstore, are known to be poisonous to insects. Make a mixture of Epsom salts and water to spray on your plants. 2. Boiling Water: Boiling water will kill weeds, ant nests, etc. if poured directly on top of them. 3. Vinegar: Vinegar will kill weeds if poured over them. Adding a little bit of lemon juice to the vinegar makes a more powerful mixture for more stubborn and hearty weeds. 4. Weeding: Also, don’t underestimate the old-fashioned but tried-and-true method of hand-pulling weeds out. Just remember to pull them out at the roots or they will grow back quickly. If you have young children at home, convince them that this is a fun activity and turn it into family time. Make sure they understand the difference between a weed and your intentional plants or you may not have a garden to worry about at all. 5. Garlic Sprays: There are a few different versions of sprays, all of which are garlic-based. Garlic not only repels vampires, but will also keep a range of pests out of your lawn and garden, including aphids, mosquitoes, red spider mites, ants, and onion flies. -- Basic garlic spray: Put 4 cloves of raw garlic in about 1 quart of water and allow to sit for about three days. After three days, pour the water and cloves into a blender and purify. -- Garlic, hot pepper and onion spray: Take an entire head of garlic and a medium-sized onion. Chop both and add to about five cups of water. Add a tablespoon of cayenne pepper. Bring the mixture to a full boil, then reduce heat and simmer for about 20 minutes. Let mixture cool, then pour it into glass jars for four to six weeks. Before using, strain liquid and use just one tablespoon of the formula for every quart of water. 6. Praying Mantis: Yes, you read that correctly. Get a praying mantis or five. They will help keep your garden low on insects as your praying mantis will hang out in your plants and stalk and feast on insects of all types. Praying mantis eggs can be purchased online. I didnt know Epsom Salt Watera can be use for these purpose too.